USAID/PROLoG, in cooperation with the High School of Justice (HSoJ) organized three trainings on Corporate Law and Governance in Georgia and the EU in July, September and October 2018. The course was developed with the support of international and local experts retained by USAID/PROLoG and German International Development Agency (GIZ), last year, and then piloted with a team of judge-trainers. This round of trainings was conducted independently by two judge-trainers Natalia Nazghaidze and Irma Peranidze. 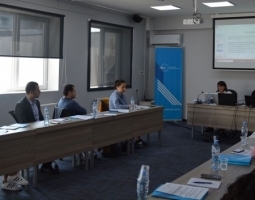 The topics covered during the trainings were: EU company law and directives, formation of a company and related legal disputes in Georgia and Europe; financial structure of companies, managers’ and shareholders’ rights and duties, European principles of capital maintenance, and the specific issues of closed corporations. When Georgia’s new Company Law is adopted courts will have to apply new legal concepts and interpret the law in accordance with the EU directives. The outcome of this unique training program will be the increased expertise of judges and judicial assistants when deciding complex company law cases. 14 judicial assistants from Tbilisi City and Appellate Courts as well as Bolnisi and Gori Regional Courts attended the trainings. Earlier this year USAID/PROLoG in cooperation with HSoJ offered similar set of trainings to judges as well.